Just because your small business is on the brink of going under doesn’t mean all is lost. There are effective ways to turnaround a sinking ship, and all it may take is a different mindset. Before you raise the white flag consider these four strategies from author and host of National Geographic Channel’s “Turnaround King” Grant Cardone. During the last few years many small businesses were in survival mode, which means they were cutting costs and laying off workers to stay afloat. The idea was to hang on until the economy righted itself. 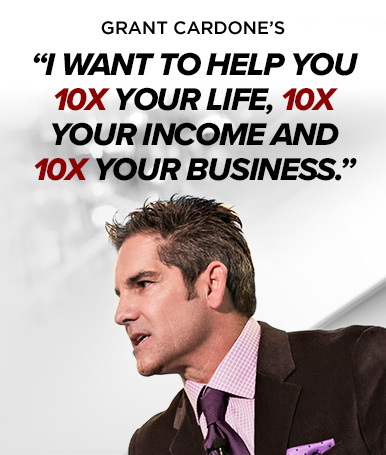 But, according to Cardone, that strategy only delays the inevitable. “People were waiting for the economy to rebound and were taking the attention off what they can do,” says Cardone. “Now they have to shift their attention to generating revenue.” And it’s not just the sales force at the company that has to get into revenue generating mode. In order for a struggling business to survive, he says everyone has to be focused on making the company money — from the receptionist all the way up to the CEO.